As I’ve mentioned before, watching my son learn to read is an endlessly fascinating process. 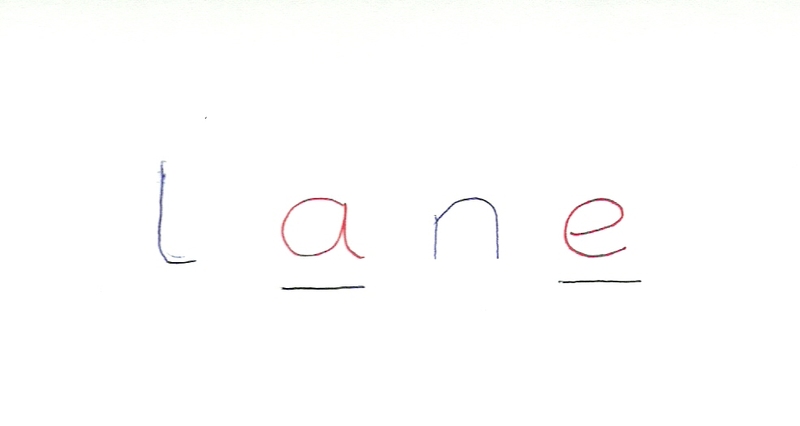 No, lane is actually spelled l-a-n-e ‘cos it’s a split digraph. A digraph is when you have two letters that make one sound and it’s a split one ‘cos there’s a “n” that comes in between them and splitting them up. So the “n” is like a knife that drops in and splits the “a” and the “e”. Mon mari was unwise enough to mention that in his day, it had just been called a magic E and got a slightly wearied, “at home we call it a magic E, Daddy, but at school it’s a split digraph”. I’ve no idea whether or not he’ll retain any of this linguistic terminology later in life, or whether all this detail is more useful than “magic E makes the letter say its name”, but it’s impressive in a slightly scary way. This entry was posted in Idle musing, Reading and tagged Digraphs, English language, learning to read, linguistics, literacy, magic E, phonics, reading, split digraph, Vowel. Bookmark the permalink. V. impressive! So far (Y1) we only have ‘magic e’ at school. This is Y1 too. Guess it depends on the school/teacher.